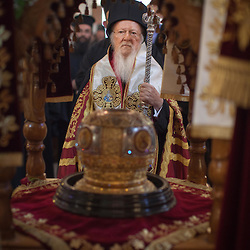 His-All Holiness Bartholomew the Ecumenical Patriarch in the Church of St. Titus in Heraklion celebrated Vespers of Pentecost. Orthodox Primates are meeting in Crete for the historic Holy and Great Council. His Beatitude Patriarch of Alexandria and All Africa, Theodoros, celebrated the Divine Liturgy on 18 June at the Holy Cathedral of the Annunciation in Kissamos. His All-Holiness the Ecumenical Patriarch Bartholomew and other Primates of the Orthodox Church attended the service in prayer. Today, Saturday of the Souls, the Orthodox Church commemorates the souls of the departed, offering special prayers for all those, now departed, who worked for the realization of the Holy and Great Council. The Greek government was represented by Panagiotis Kouroumblis, minister of Interior and Administrative Reconstruction, and Ioannis Amanatidis, deputy minister of Foreign Affairs. In their statements after the Divine Liturgy, they both emphasized the importance of this historic event and the need for unity in the Orthodox Church. Previous ArticleAntiochian perspective on the “Holy and Great Council”: Harbinger of Storm or Passage to Calm? 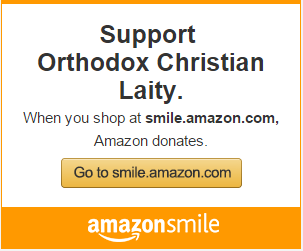 Orthodoxy has a REAL problem! We have old, celibates parading around in vestments and their monastic garb, long beards & long hair trying to tell the young Orthodox of today what is right & wrong. Furthermore, we have the Greeks in Istanbul (maybe 1,000) trying to dictate to the world what is Orthodox and what isn’t. WHAT A JOKE! Totally irrelevant to Orthodoxy today! It really is a bad joke. Furthermore, a meeting in Crete where ALL the canonical Orthodox weren’t invited and the BIGGEST Orthodox members aren’t attending. Truly, a bad joke. 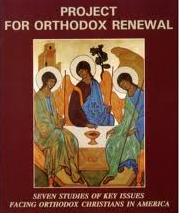 ORTHODOX REVISION OR CONTINUE TO LOSE YOUR YOUTH AND REMAIN IRRELEVANT! This meeting is a BAD JOKE! The Russians won’t be there; the Antiochians won’t be there; the Bulgarians won’t be there; etc. It is NOT inclusive; in fact, other canonical Orthodox churches weren’t even invited! It really is: A GREEK THING! After all these years, a “Greek Thing.” How very stupid!! !